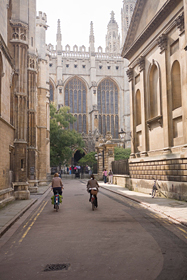 A government housing statistics revealed that the average price paid by First Time Buyers in Cambridge in 2014/15 was just over £375,000 (in 2012 the figure was around the £250,000 stamp duty threshold amount). Cambridge’s local newspaper the Cambridge News reported in April that the average house price in Cambridge had reached £500,000. It is believed that the low interest rates, shared ownership, the government’s changes for landlords purchasing property since April and the government’s Help to Buy scheme has helped first time buyers to purchase in the city. We are your local Mortgage Broker in Cambridge with a vast experience in sourcing mortgages and insurance for our clients in the city of Cambridge and surrounding areas. Please contact us to discuss your requirements further.